Kiwi Fashion Blog: New toy! I have been away for almost 3 weeks! When I returned I found two new goodies arrived and DH kindly stored and put them away for me to open! I will reveal the 2nd one later! Here is my first goodie! Mud (in real life it looks khaki!) 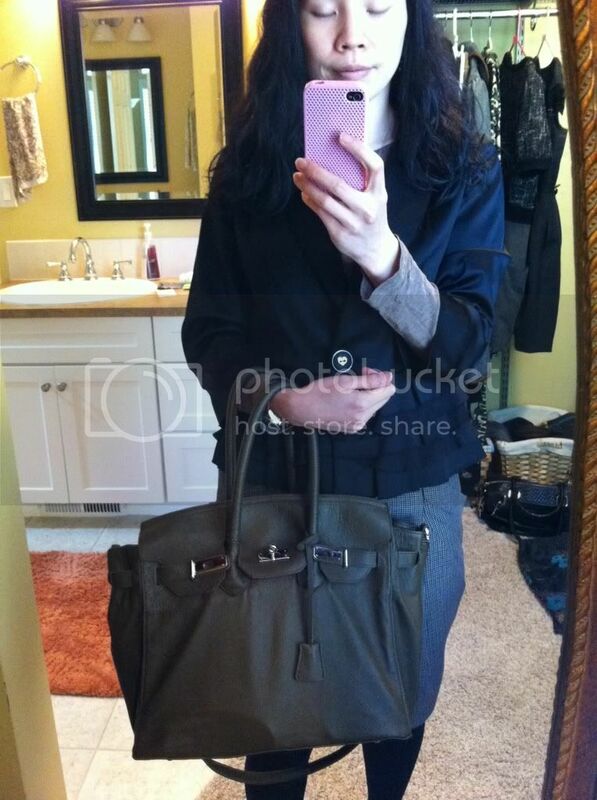 Medium Marco Tagliaferri bag with silver hardwear! I bought this bag wanting to take with me for my trip but unfortunately I waited for too long and it didn't arrive on time for my trip! Nonetheless, it's a great work bag too. I bought the re-deisgn from HgBags and the lovely Erica warpped it so well and arrived it sound and safe!! It can be worn with the strap cross-body too! 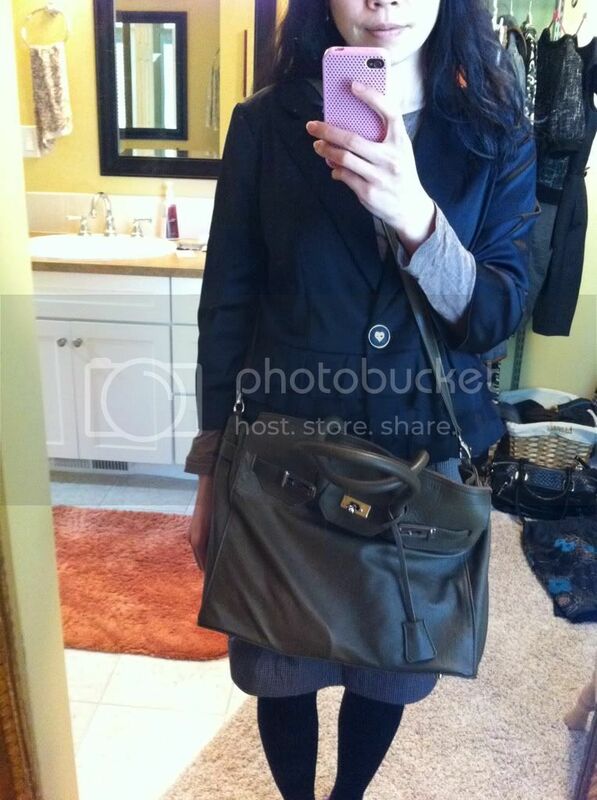 The leather is soft and somewhat "thin" but it makes the bag so lightweight and comfortable! The double handles are snag to carried on the shoulder though.